Quat Quatta - Lunch or Dinner Reception? Quat Quatta is definitely our favourite inner suburb wedding reception venue. 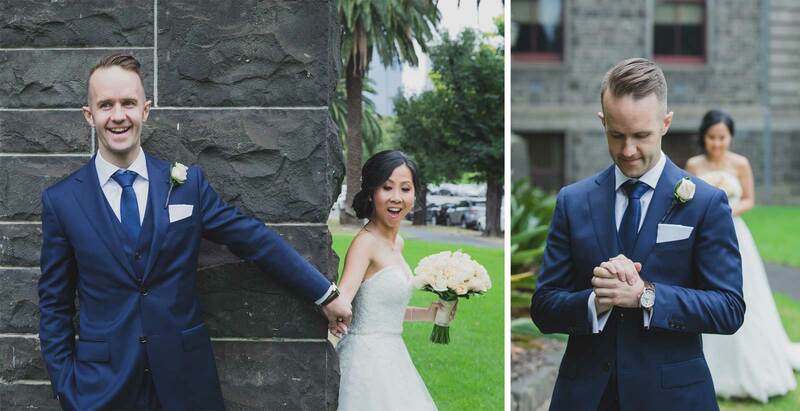 Despite being on a moderately sized property in Ripponlea, there are many well manicured garden areas that provide a variety of backdrops for your wedding portraits. Quat Quatta is also located within minutes of many other picturesque locations including Kamesburgh Mansion, St Kilda Botanical Gardens, and Brighton Beach. It's also across the road from Ripponlea Estate, but with an admission fee of $750 per hour for wedding photography, it's not for those on a budget! We're often asked whether a lunch or dinner reception is better for photos at Quat Quatta. Both have their pros and cons and here's what you need to consider. A lunch reception at Quat Quatta means your wedding ceremony would start at around 11am. 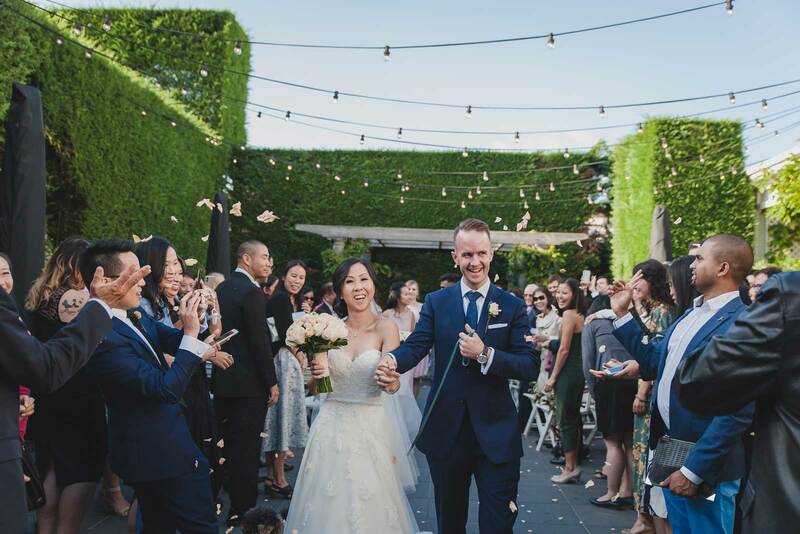 If you're planning your big day in the warmer months, the sun would be close to overhead during your ceremony and all your guests would be seated in full sun. Shooting in overhead sunlight can be challenging, but when taken properly, sunlit photos are filled with vibrance and life as shown below. The main consideration is whether your guests, especially the elderly and very young, would appreciate being in the sun on a warm day. 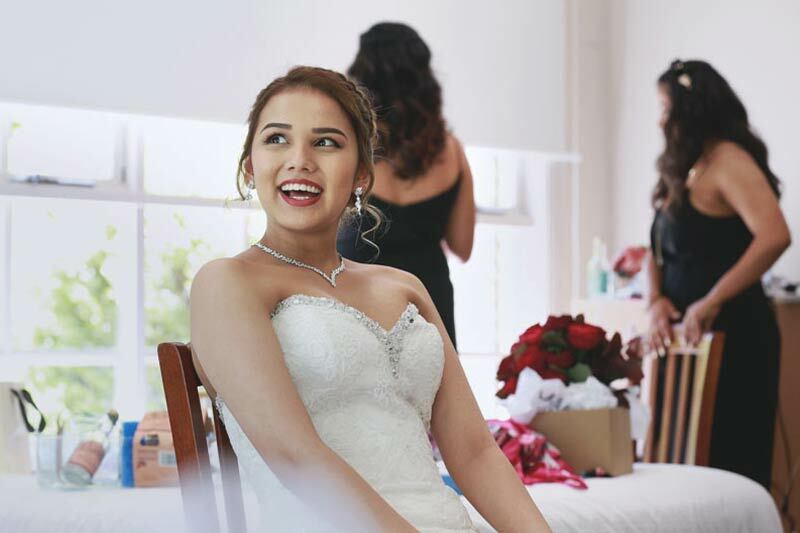 Immediately after your ceremony, we would take your group photos, along with some bridal party shots around Quat Quatta with enough time left for you to relax in the Bridal Room and catch your breath. Entree is served at 1pm and you'll have to be out of there by 4pm. 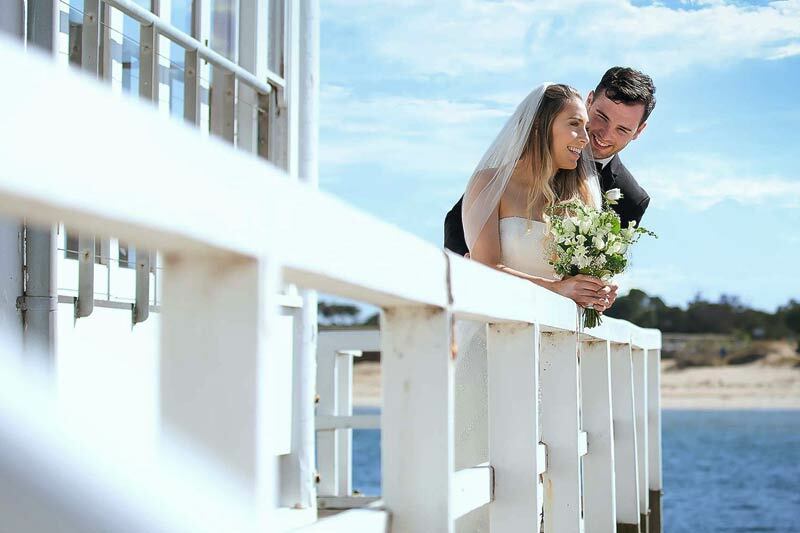 The benefit of this schedule is that we can then take your location photos around the Ripponlea/Brighton area after your reception finishes. There'd be no rush with the photos and we'd have perfect evening sunlight. Typically we'd finish the photography by about 7pm and you can then enjoy the rest of your evening! View more images of a lunch reception at Quat Quatta. A dinner reception at Quat Quatta would mean a ceremony at about 6pm, assuming it's in the summer months with daylight savings. As you can see in the photo below, your guests would be shielded from the sun by the tall hedges making it comfortable for both them and you, especially if the day has been warm. By the way, the leash that Matt is holding in the photo leads to their dog, not to his wife Sandy! We also have more options with photography as we can capture the fairy lights, dusk and silhouetted shots. There's no rush with your reception and you can party into the night at Quat Quatta! With an evening ceremony, photographs at other locations would have to occur before your ceremony, meaning that the bride and groom would see each other prior to walking down the aisle. 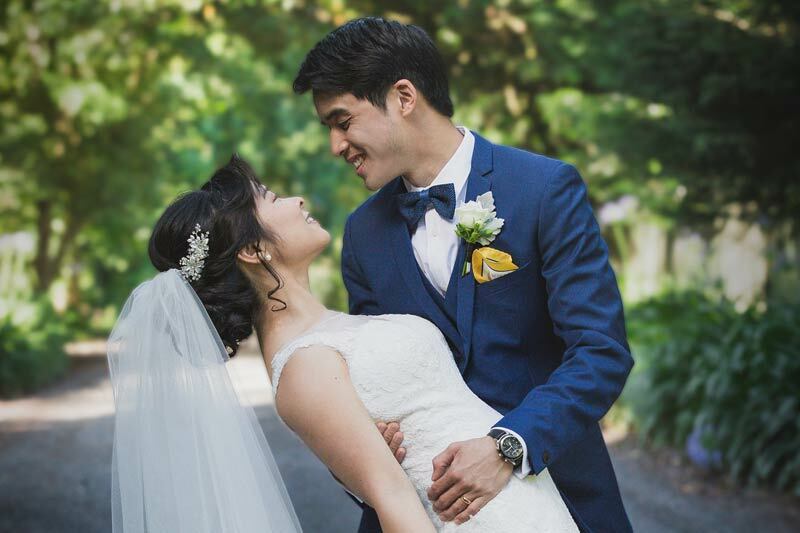 For many couples, the moment the groom sees his beautiful bride for the first time should be a memorable moment, and we can capture that moment in a variety of "first look" photos. For Matt and Sandy, we achieved this at The Barracks on St Kilda Road before heading to Quat Quatta. Whilst we can capture beautiful images in full sun, we love evening outdoor weddings at Quat Quatta! Hands down, dinner receptions there are better than lunches as they're far more relaxed for everybody and we have numerous options for photography. Just look at the gorgeous photo below! We can't do that at midday! An affordable collection for the shorter wedding. Beautiful high resolution images that you can print later. All images supplied on USB. Our popular collection with more photography time. Includes a stunning photobook that you will cherish forever. 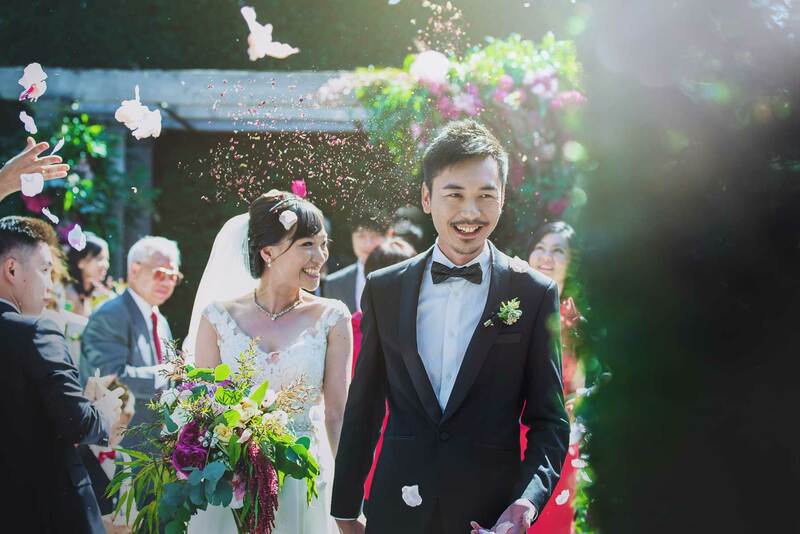 Relive the fun and emotion of your wedding day with two beautifully filmed wedding videos you'll view for years. All our packages can be tailored to suit your wedding day, so if you'd like more or less hours, we can adjust the price accordingly. Contact us for more information and options!